Most students are required to take advanced math courses at the secondary level, but those courses often fail to teach the basics of personal finance. With credit card use and student loan debt at an all-time high, it’s important that students are aware of how to manage their money. Help teens create their own budget and hold them accountable for the purchases they make. Being able to budget is an essential skill. Whether you are managing time, responsibilities, or money, exceeding your available resources will lead to difficulties rather quickly. Help Teaching’s Budgeting Activity leads students on a brief tour of Peter’s life as he tries to reign in his spending in the face of increasing expenses. This worksheet can be used to teach simple finance, the more advanced concept of scarcity, or as a metaphor for key life skills. Along with the budgeting worksheet, help teens create their own budgets and hold them accountable for the purchases they make. They may not have to provide for their basic needs, but they can budget for music, apps, clothes, fast food, and other entertainment expenses. Apps such as SmartyPig or iAllowance may also be useful tools when it comes to helping kids learn to budget and handle their money more effectively. Teens are being targeted by credit card companies much more frequently than in the past. Being able to understand the impact credit debt can have and the proper way to take advantage of credit are essential skills for any young adult. 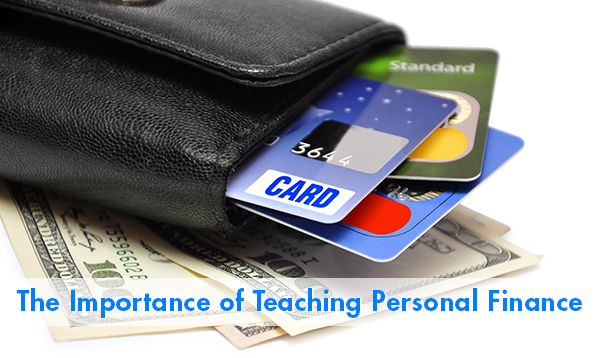 It’s important that students understand how to build a good credit history. Use the Narrative Procedure organizer to list and explain the 3 C’s of credit. Use the Cause and Effect chart to display how bad credit decisions can have effect on your life years afterwards. One engaging way to teach the different uses of credit cards is to compare and contrast different credit cards with a Venn Diagram. Have your students choose one cash back credit card and a card that accumulates miles for travel to see that cards can be beneficial if used properly. Thirteen.org’s It Costs What?! game and iGrad’s Credit Card Simulator are great ways to run students through credit card simulators where they must choose the best credit card and learn about using credit cards responsibly at the same time. While Frontline’s series of episodes, The Card Game, introduces students to the credit card industry and make the dangers of credit cards clear. Everyone will need to borrow money at some point in their life, some as early as 17 when they are responsible for student loans to secure tuition for college. Understanding interest rates, payment schedules, terms, and balloon payments are very important to making prompt and reliable payments and not owing more than you can afford. Many websites offer loan calculators to see how much that loan will really cost you. SaveAndInvest.org offers its own selection of videos and worksheets designed to help teens understand borrowing and the cost of debt. There are so many ways to grow your money, but many students are unaware of their options. Kids receive saving bonds or use a passbook saving account when they are young, but as they become adults those are not the only viable investment options. Help Teaching has an activity that will start them on the road to identifying investment options that will lead into a deeper research project. Students can head to TheMint.org, too, to help them learn more about how to start building financial security today. This includes making investments and learning how to manage their money so it can work for them in the future. Students are rarely aware of the tenuous nature of Social Security. They know even less about pensions, IRAs, and 401(k)s. Beginning to save for retirement immediately upon finding a job is extremely important, but that urgency is unknown to teens. A simple but effective KWL chart can be a good introduction to retirement savings. Filling in the gaps of their knowledge can save them a lot of trouble forty years in the future. Of course, it’s never too early for students to start saving for retirement either. Dave Ramsey’s article on How Teens Can Become Millionaires may help motivate students to seriously start thinking about how money connects to their future. For more great suggestions on personal finance and other essential skills students need, check out 9 Life Skills Every Teens Needs. So many of us come out of high school barely able to write a check. Going through these concepts in personal finance can put a young adult on a much less tenuous road to financial stability.